A U.S. intelligence official said on Friday that Russia had started moving the Iskander-Ms into Kaliningrad in what he said could be a gesture to express displeasure with NATO. 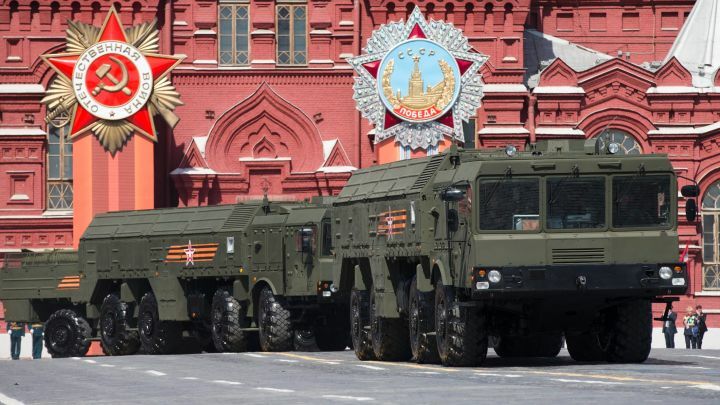 Russia has moved nuclear-capable Iskander-M missiles into the Kaliningrad enclave bordering Poland and Lithuania, the Defense Ministry said on Saturday, adding it was part of routine drills. “These missile units have been deployed more than once (in the Kaliningrad region) … and will be deployed as part of military training of the Russian armed forces,” ministry spokesman Igor Konashenkov said in a statement. A U.S. intelligence official said on Friday that Russia had started moving the Iskander-Ms into the enclave on the Baltic in what he said could be a gesture to express displeasure with NATO. Konashenkov said one of the missiles had been deliberately exposed to a U.S. spy satellite. “We did not have to wait for too long – our American partners confirmed it themselves in their revelatory endeavor,” he said. Lithuania, neighboring Kaliningrad and a member of NATO, said it would protest to Moscow. “The deployment not only increases tensions in the region, but also possibly violates international treaties which limit deployment of ballistic missiles of range of over 500 kilometers,” Foreign Minister Linas Linkevicius told a news briefing in Vilnius. “There will be a NATO-Russia Council meeting, and this is shaping up as one of issues on the agenda,” he added. Some modifications of the Iskander can hit targets 700 km (450 miles) away, putting the German capital Berlin in range of Kaliningrad, Linkevicius said. “This is a usual Russian tactic: escalate tensions, create a discord and then expect concessions elsewhere. I would like to hope that this will not work this time,” he added. Russian President Vladimir Putin on Monday suspended a treaty with Washington on cleaning up weapons-grade plutonium, saying it was a response to unfriendly acts by Washington. US Peace Council: American people are being lied to! TRUTH ABOUT SYRIA! NOT CIVIL WAR BUT US INVASION! Croatia must immediately secede from NATO! ČEPURIN ZAHTEVA PRAVDU: NATO da isplati 100 milijardi dolara odštete za bombardovanje Srbije!